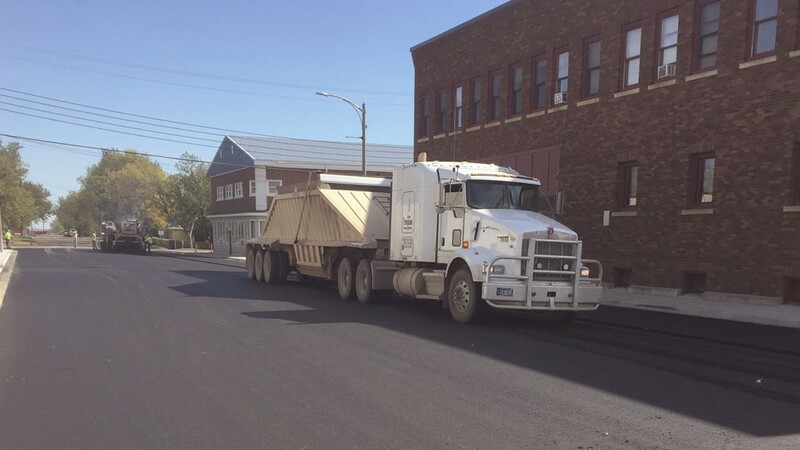 In the summer of 2016 we tackled our largest city paving job to date. 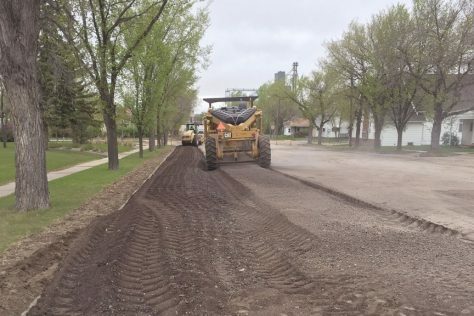 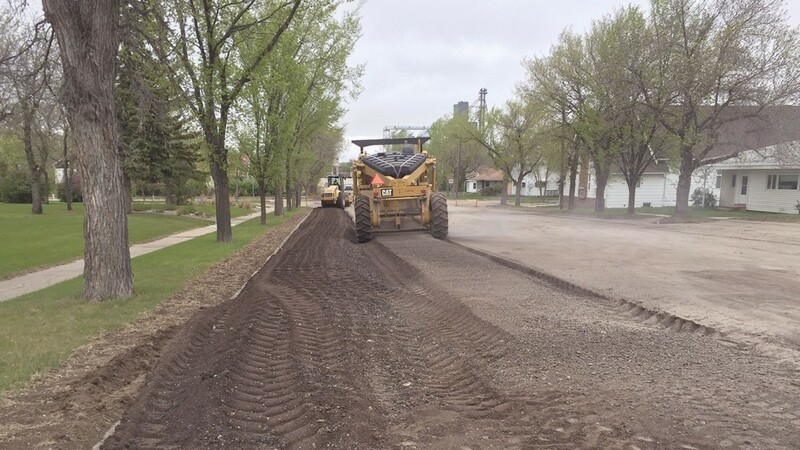 Mayo Construction reconstructed all of Main Street and numerous residential streets in the city of Crosby, which required more than 28,000 tons of hot mix to pave more than 60 city blocks. 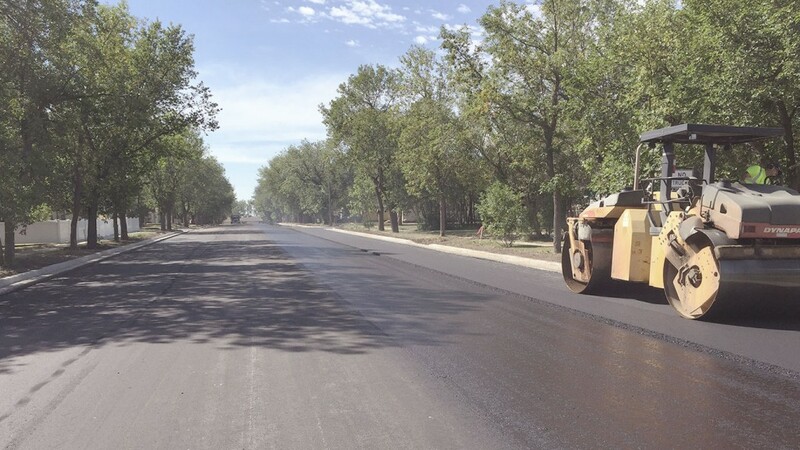 We subcontracted Farden Construction of Maxbass to handle the grading and cement treatment for this job. 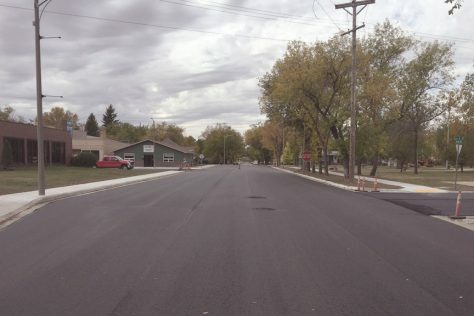 The focal point of this project was a full reconstruction of Crosby’s main street. 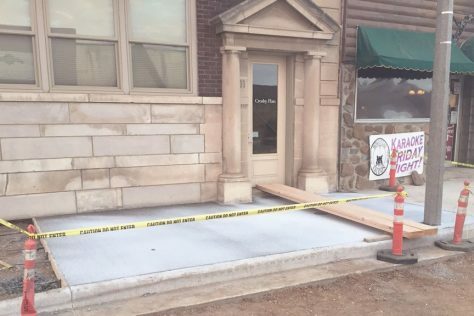 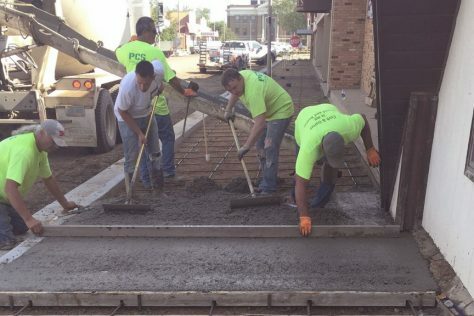 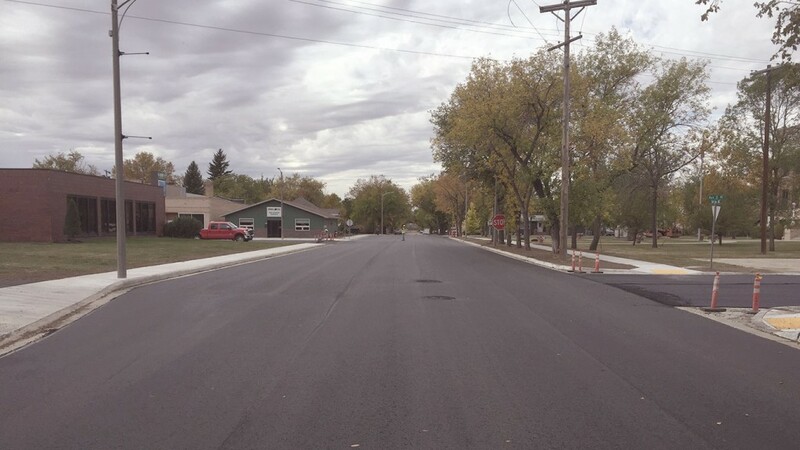 We removed and reconstructed all curbs, gutters and sidewalks up to the storefronts and laid full-depth new asphalt for the entire length of Crosby’s busiest road. 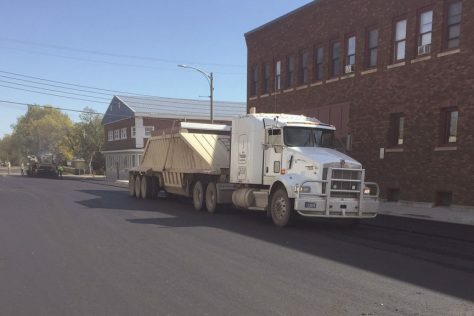 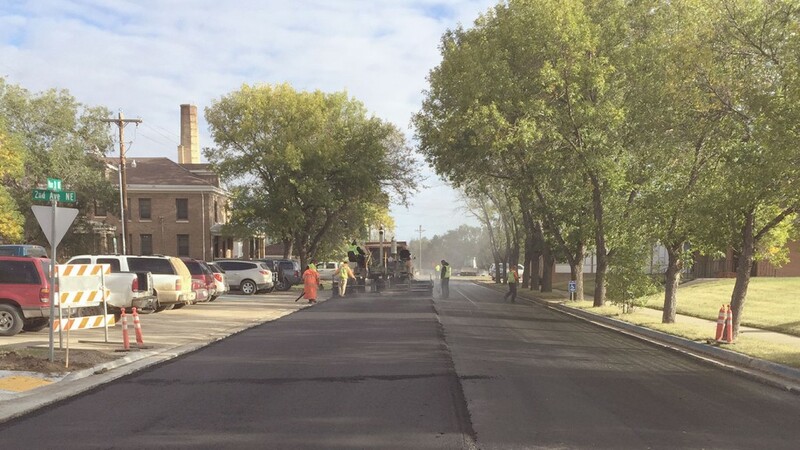 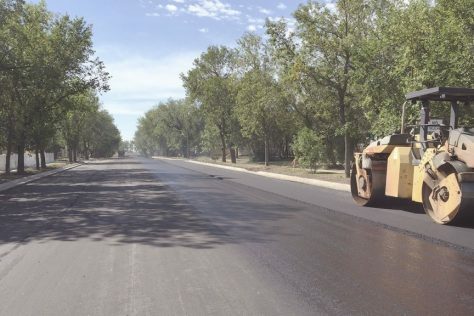 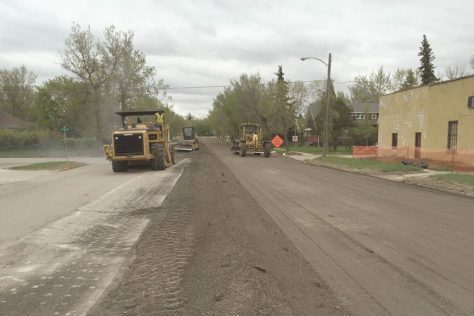 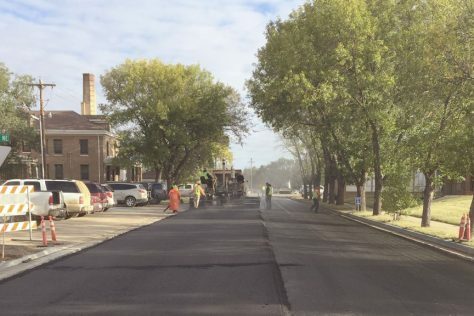 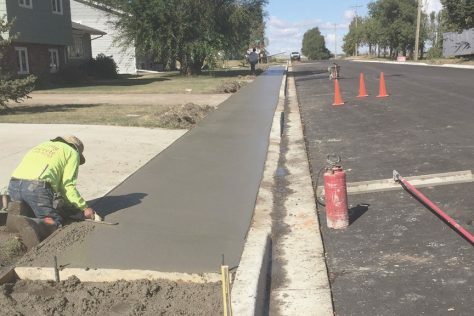 To reduce waste and save cost, Farden Construction recycled the city’s existing asphalt by grinding it up and then mixing it with a cement treatment to create a unique base product for the new streets. 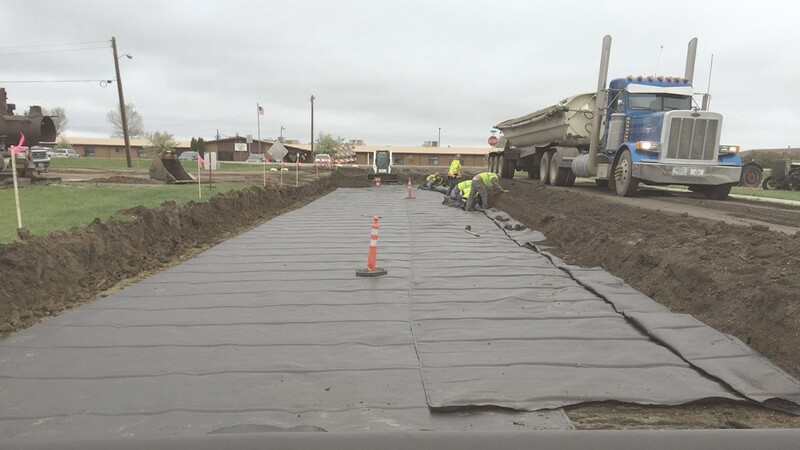 During the reconstruction process a total of 7,000 feet of Crosby’s underground sewer lines were relined internally to prevent open trenches and save time. 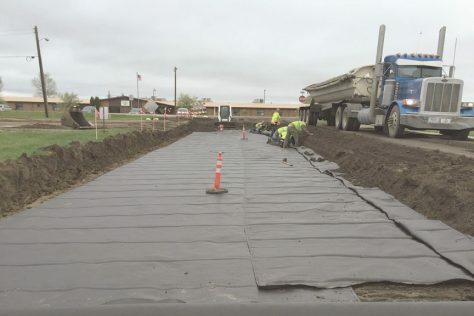 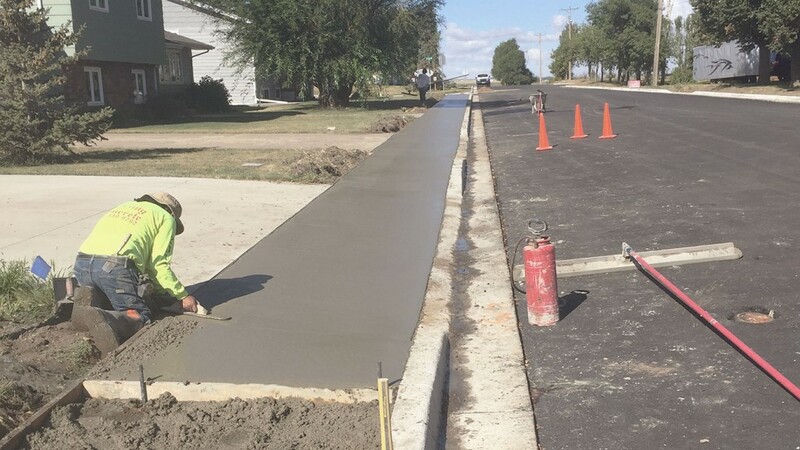 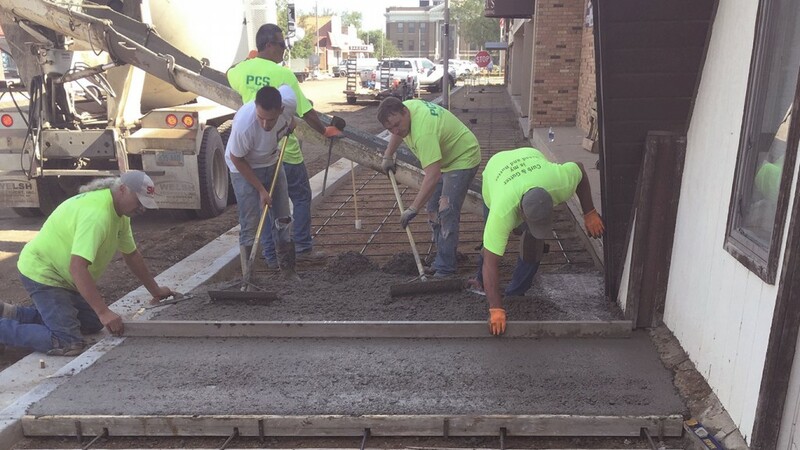 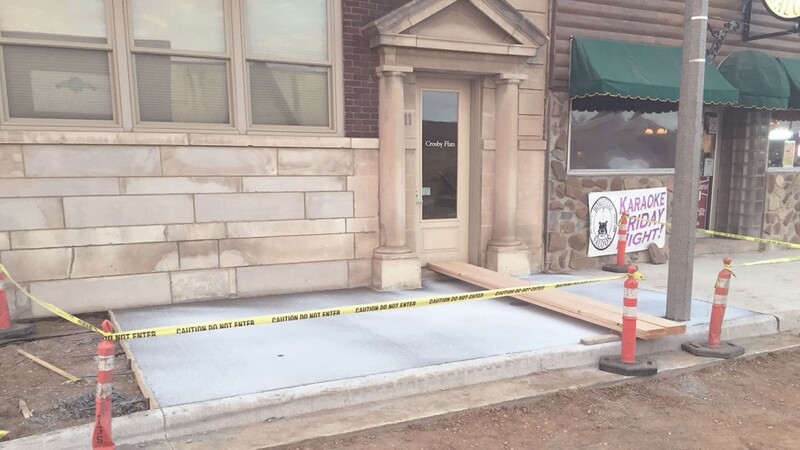 We subcontracted Professional Concrete Services of Bottineau to perform all the concrete work. 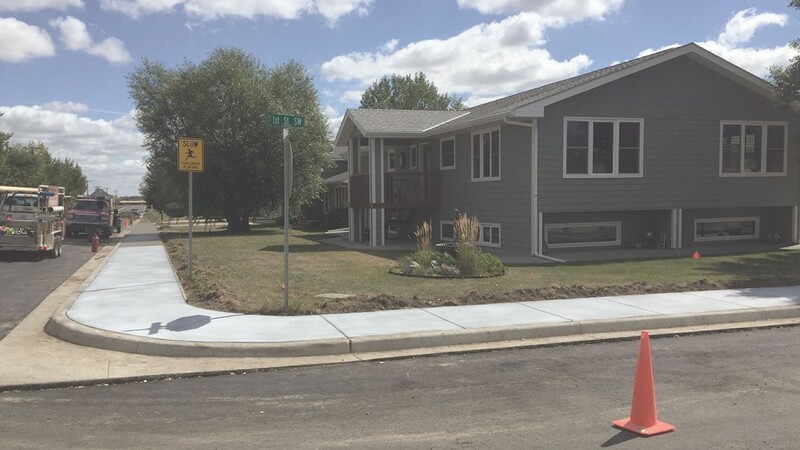 Although Mayo Construction was the second lowest bidder on this project – by a small margin – we were awarded the contract due to our reputation and previous experience. 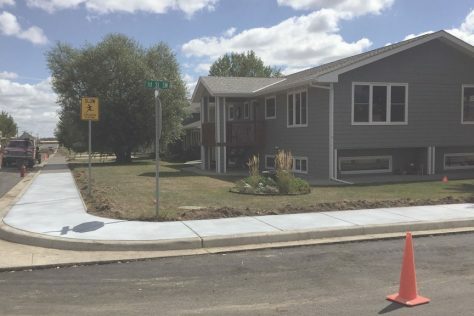 From the onset, this project was fast-tracked to be completed in one year. 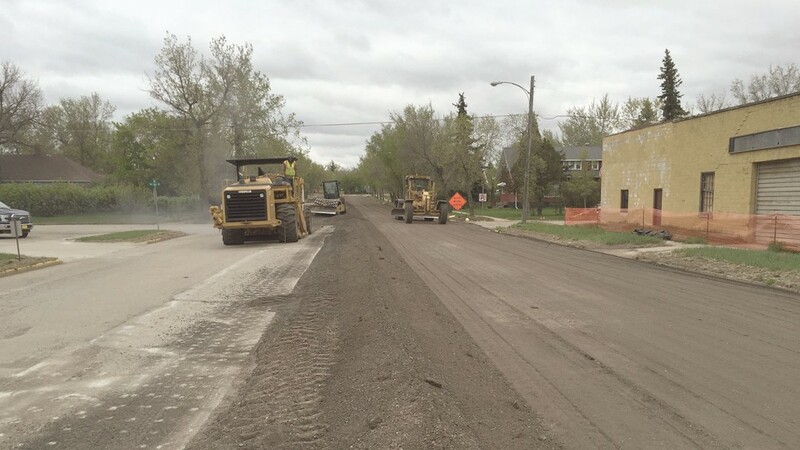 Despite the magnitude of the job, we managed to finish ahead of schedule.